"Newf Tide" Article - BISS Am./Can. Ch. 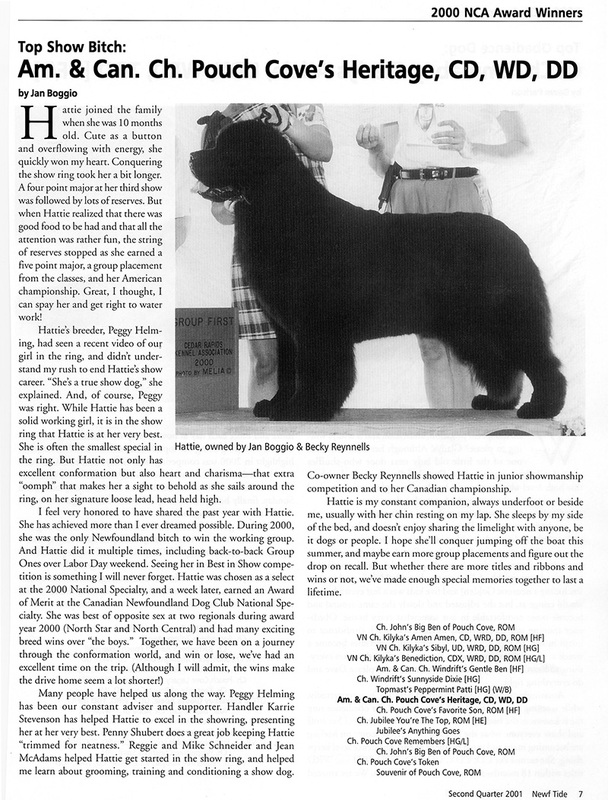 Pouch Cove's Heritage, CD, WD, DD, "Hattie"